The mystic Land of India is the most popular travel destination amongst the tourists for various reasons. People across the globe admire and talk about this land of “Melting Pot of cultures and traditions”. Travel India while you can lose yourself to find your own self. Live your life as if there’s no tomorrow. And whatever you’ll explore and experience today will last a lifetime with you in memories to be cherished. So, here’s a list of 10 Activities to Add in your Bucket List while in India for a life changing the experience. Disclaimer: This is for everybody be it females or males!! Without any doubt, Goa ranks amongst the first few places in India that the youths like to visit. As and when we talk about Beaches in India, the first thought that pops up in every head is the smallest state of India- Goa: Young and energetic! 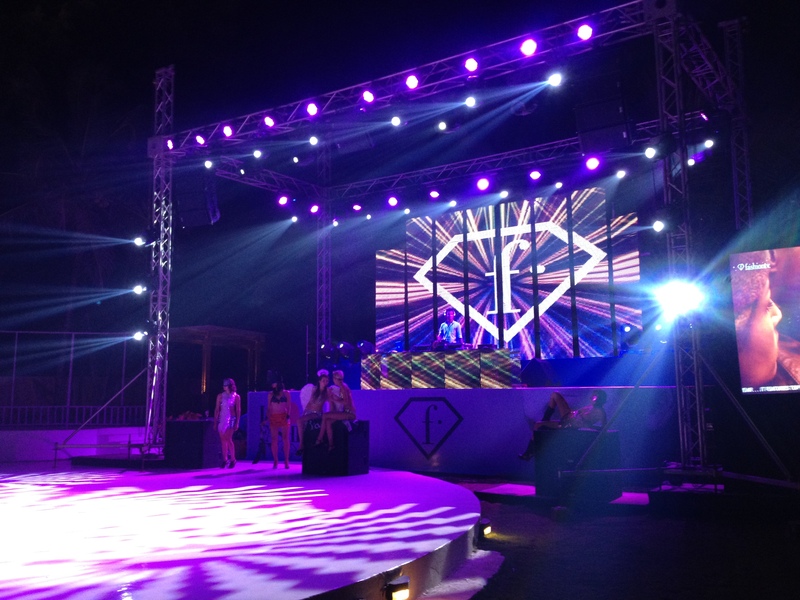 Goa has everything to make a trip memorable ranging from an array of booze to wonderful nightlife to alcoholic beverages at cheapest prices. McLeod Ganj– the residence of His Holiness the 14th Dalai Lama. The mesmerizing views offered by the mountains invite tourists to take in the best of what nature has in store. Triund offers the enormous views of the Dhauladhar ranges. It is a small enough place which can easily be navigated and explored on foot. You can also camp under billions of stars with your peers in Triund. Never tried your hand at swimming? Scared of water? It’s high time to overcome the fear in you by diving deep into the sea so as to beat the fear of water and depths out of you. Trust us, you’d be pleased with the sight of the sites located underwater and it will keep you coming back for more. And woah, aqua lovers, Andaman and Nicobar no less than bliss! Leh – Ladakh is one of the most visited tourist attraction in India on every avid explorer wish list. As you embark on an adventurous motorbike journey, you will surf on the crazy zigzagging roads, learn to be independent on the Desert Mountains, get stuck in the middle of nowhere and last but not the least sleep and sip tea with the locals. The Scotland of South India- Coorg is the quick getaway during the weekends for the regular people and to spend a day for those visiting Bangalore. This mesmerizing hill station in Karnataka cannot be skipped from the list of best places to visit in India. Take in the breathtaking views that would heal and rejuvenate you and give you the experience of the lifetime. 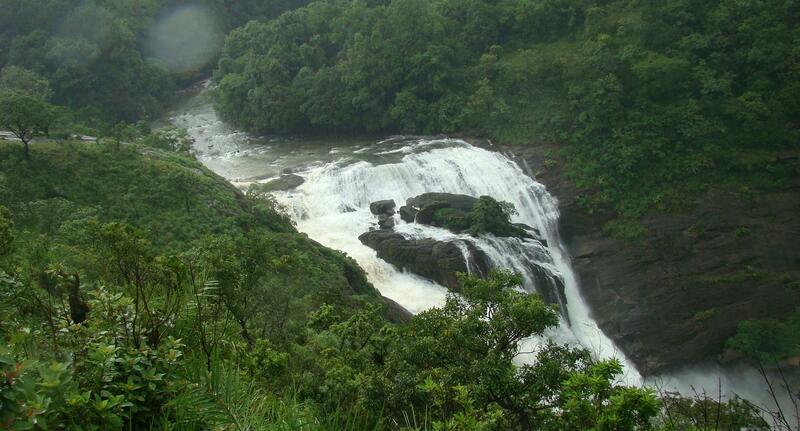 To all the nature lovers out there why don’t you plan a trip to God’s own country famous for its enchanting wilderness? Famous for its Backwaters which is a maze of water bodies Kerela is also popular for its lush green scenery, crystal clear water and wildlife. Kerela Backwaters are considered as one of the most important feature of tourism in Kerala. One of the wettest places on the planet earth is Cherrapunji– the great place for those who want to experience something out of the blue and dreamlike. 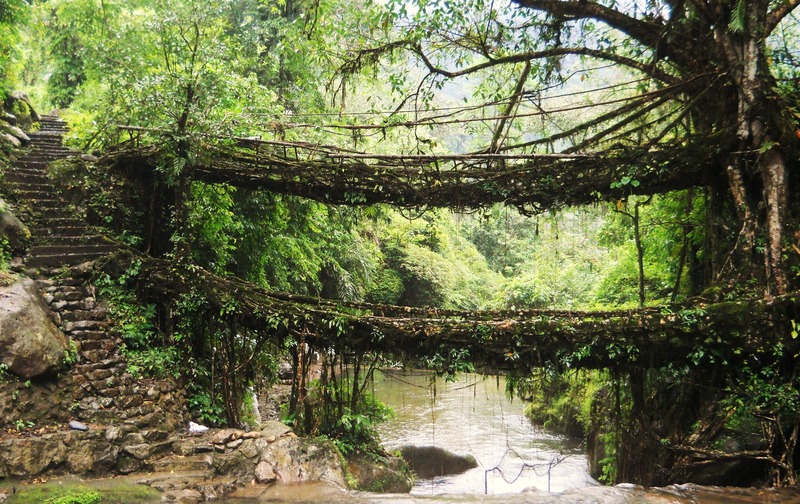 The only place in India to receive rain throughout the year is famous for its root bridges which leaves all the visitors awestruck. Enjoy the stunning views of the plains of Bangladesh from the cliffs of Cherrapunji. Located at the far Western edge of Gujarat, Kutch is not part of the usual tourist trail. Whereas many stroll through Rajasthan for a glimpse of the desert, very few venture over to the other side of the Thar Desert to explore Rann of Kutch– remarkable region. This makes it the picture-perfect place to be at. Try to be part of its annual festival of Rann Utsav. Visit Sikkim and its home monasteries to take in the spiritual essence of Buddhism around you. Life is not only meant to explore the whole of world. You can also volunteer with the monks and master the art of giving! Sikkim is arguably among the loveliest destinations in India. Sikkim is also home to thousands of varieties of wildflowers, glaciers and alpine meadows. As part of your river rafting tour in Rishikesh enjoy camping out in nature. River Rafting is one of the most overwhelming occurrences that one must always give a shot at. Adventurous people can very well go ahead and try out these sports. It is very unusual and scary at times. Trekking also forms part of the activities the visitors can be part of. What are you waiting for? It’s time to pack your bags and kick-start journey to indulge in activities from the new bucket list.